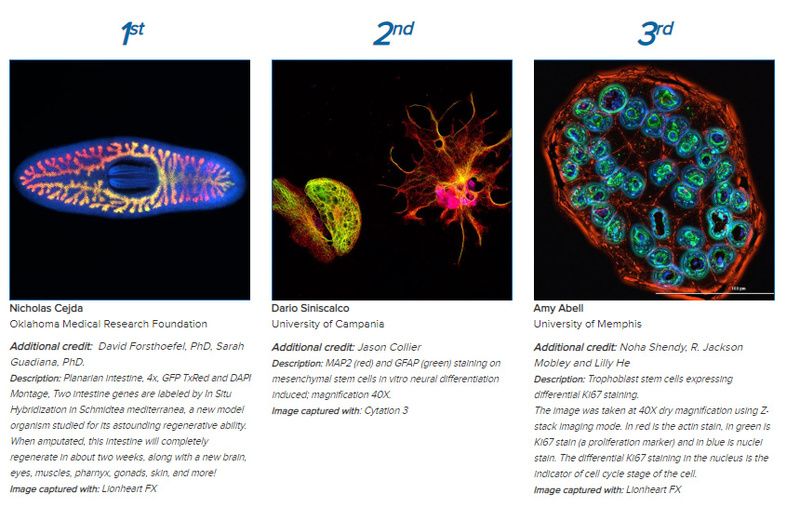 If you've been following us for a while, you probably remember that last year we kicked off our 1st annual Imaging Competition called Imaging Perspectives. Researchers from around the world submitted images captured with their Cytation or Lionheart for a chance to win cash prizes and have their image featured in BioTek's annual wall calendar. Well, the competition proved a success! We loved seeing all of the images and learning about the various applications customers are running with their instruments. So much so that we decided to do it again! Here’s your chance to show the world what you are working on, and to share the art and beauty that’s often found in science. If you have a favorite image (or three!) that you’ve captured using a BioTek Cytation or Lionheart imager, visit our contest page and submit your entry today! You could win one of three cash prizes (1st place = $1,000, 2nd place = $500, 3rd place = $250) as well as the chance for your image to be featured in our 2020 wall calendar. You can click here to see all of our 2018 winners. Entries for our 2019 competition will be accepted now through the end of July. We can’t wait to see what this year’s submissions will bring! !